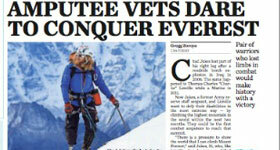 In the past five years, more U.S. soldiers have died from suicide than enemy attacks in both Iraq and Afghanistan. 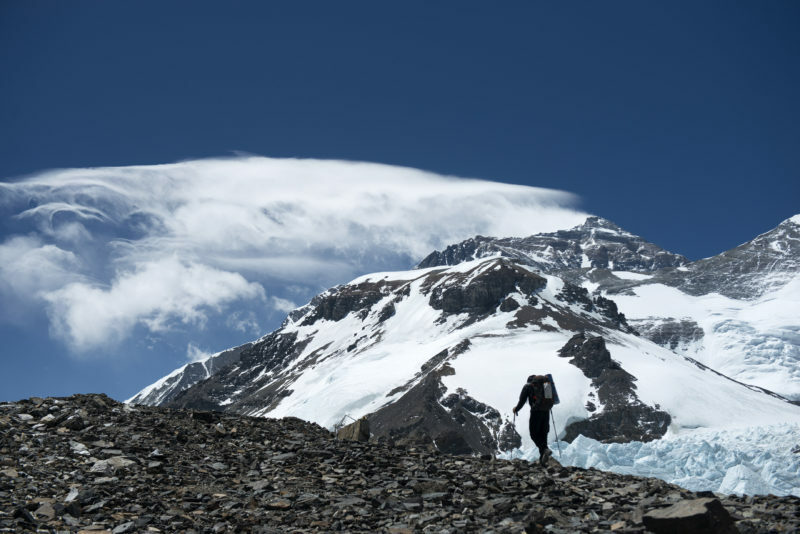 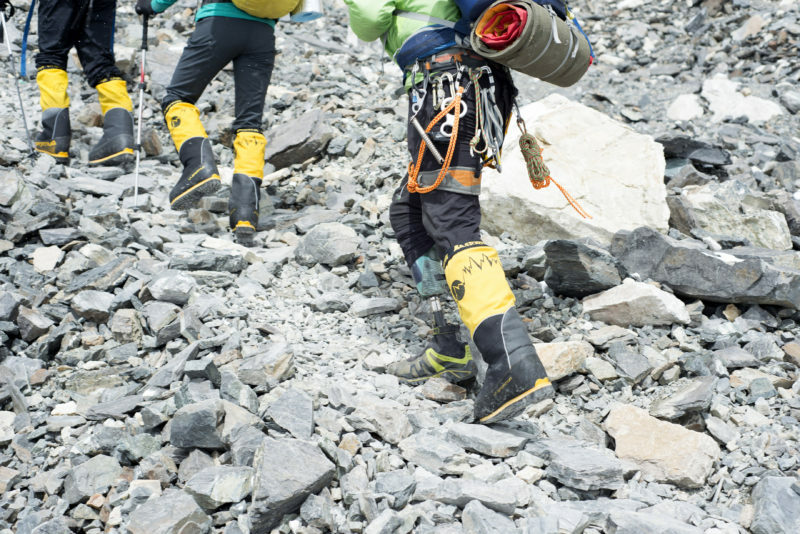 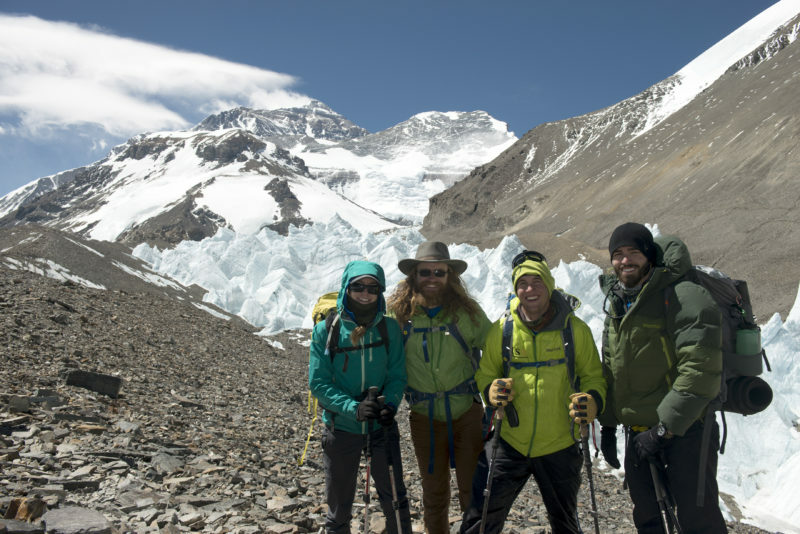 It’s a jarring statistic that the newly formed, veteran U.S. Expeditions and Explorations nonprofit, USX, sought to reverse by leading an expedition to the top of Mount Everest in the spring of 2016. 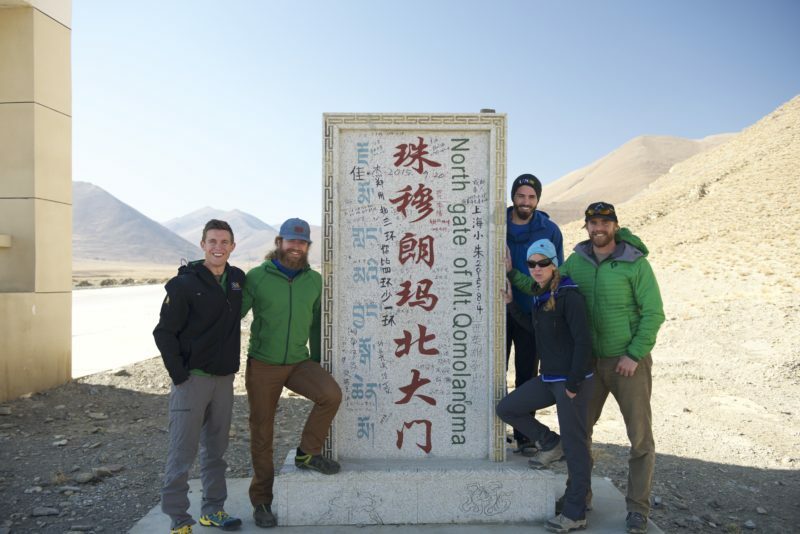 Their mission was to shed light on the stigma that centers on soldier post-traumatic stress disorder, while guiding veterans in their transition back to civilian life through challenging expeditions that inspire camaraderie and purpose. 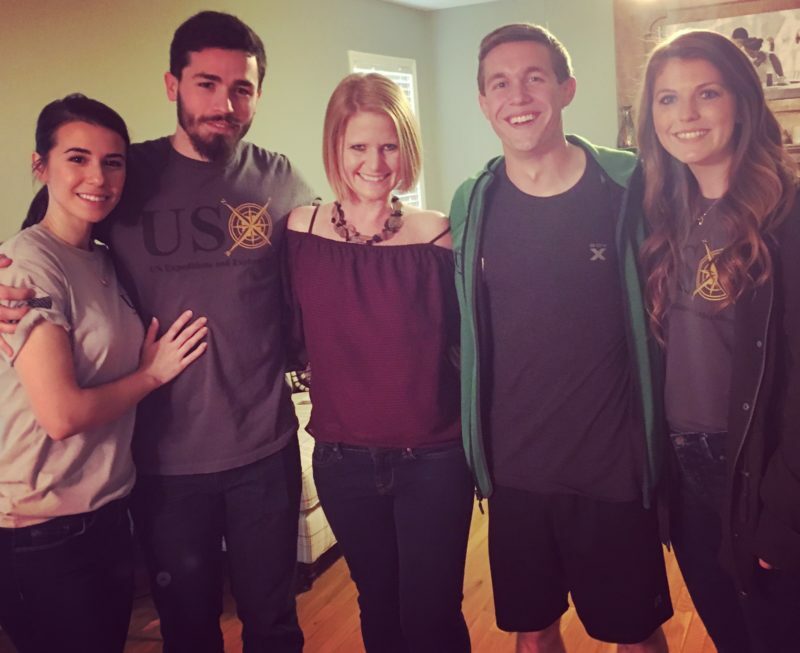 Second Lt. Harold Earls IV, a West Point graduate, developed the idea of USX while still a cadet in the U.S. Military Academy. 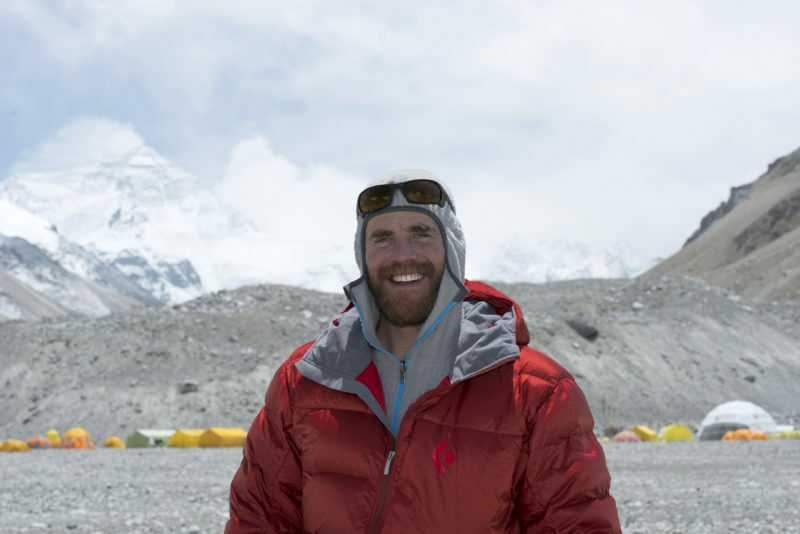 His goal with assembling Team USX for the Everest Expedition was to do more than bring awareness to PTSD, but to do something about it by creating expeditions that mirror being part of a mission-oriented unit and team in combat. 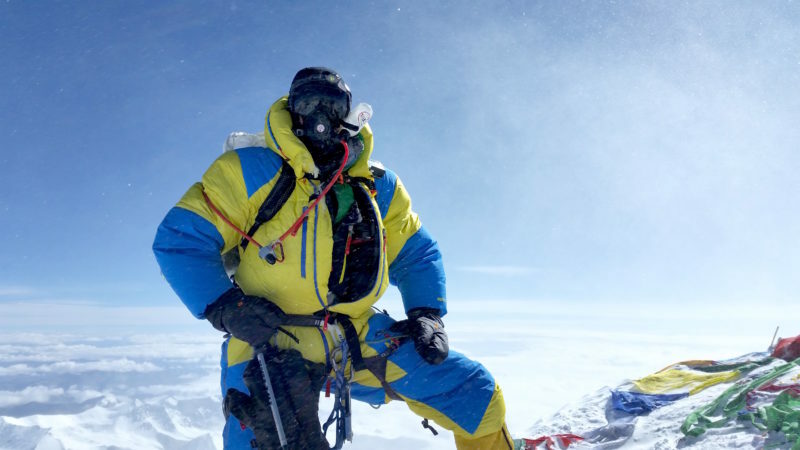 Team USX Everest climbers included Earls, USX co-founder and president, and an active-duty basic infantry officer assigned to the 3rd Infantry Division at Fort Stewart, Georgia; Capt. 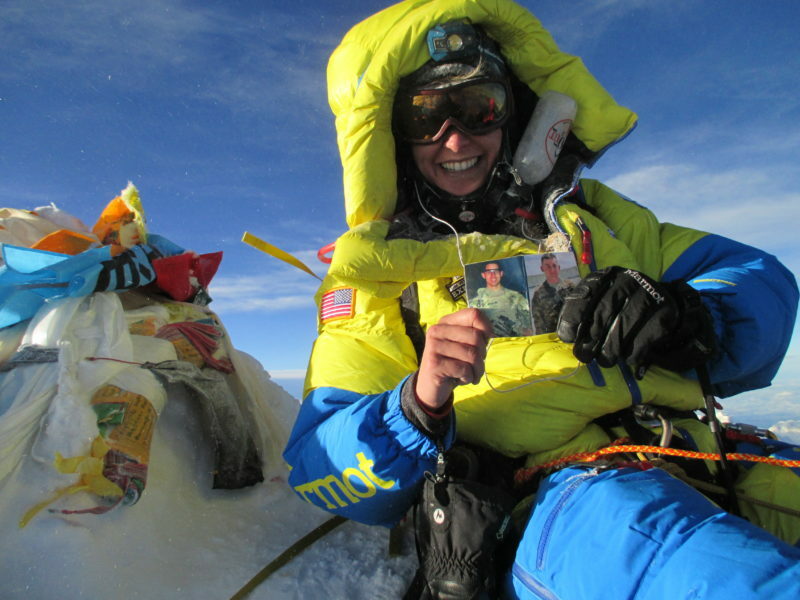 Elyse Ping Medvigy, an active-duty Army officer and former field artillery officer studying to be a civil affairs officer at the U.S. Army John F. Kennedy Special Warfare Center and School at Fort Bragg, North Carolina; retired Staff Sgt. 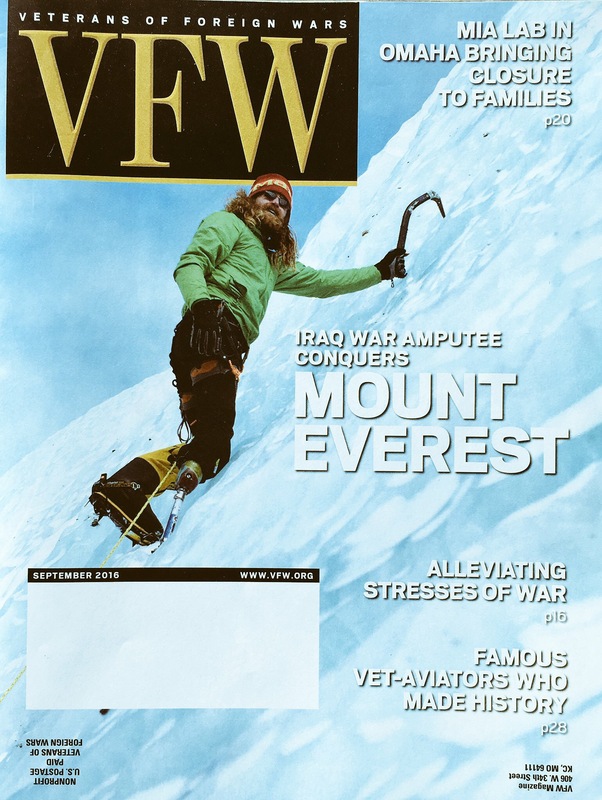 Chad Jukes, who lost his right leg while serving as the lead gun truck commander on a supply convoy in northern Iraq; Tommy Ferguson, Everest on-site base camp manager; and award-winning filmmaker; Dr. Dave Ohlson, who documented the entire expedition for future documentary film that has caught the interest of internationally acclaimed author, journalist and award-winning director and producer, Sebastian Junger. 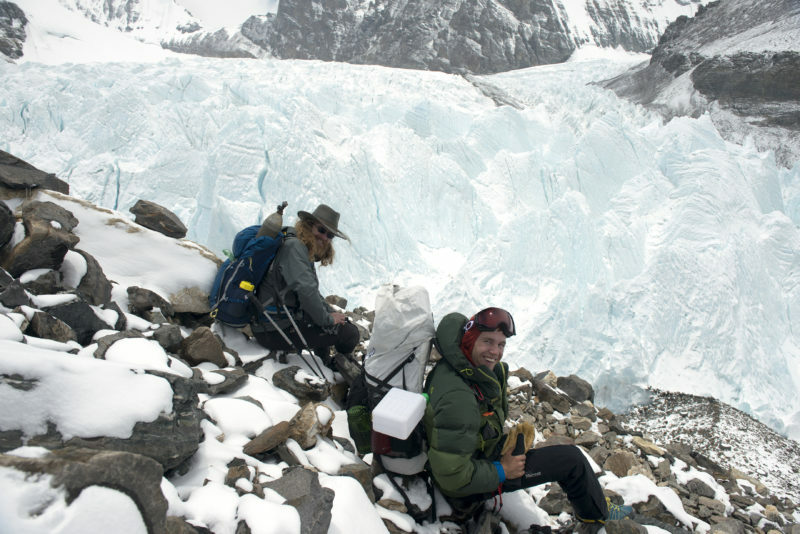 During the expedition, Junger served as a story-telling advisor to Earls. 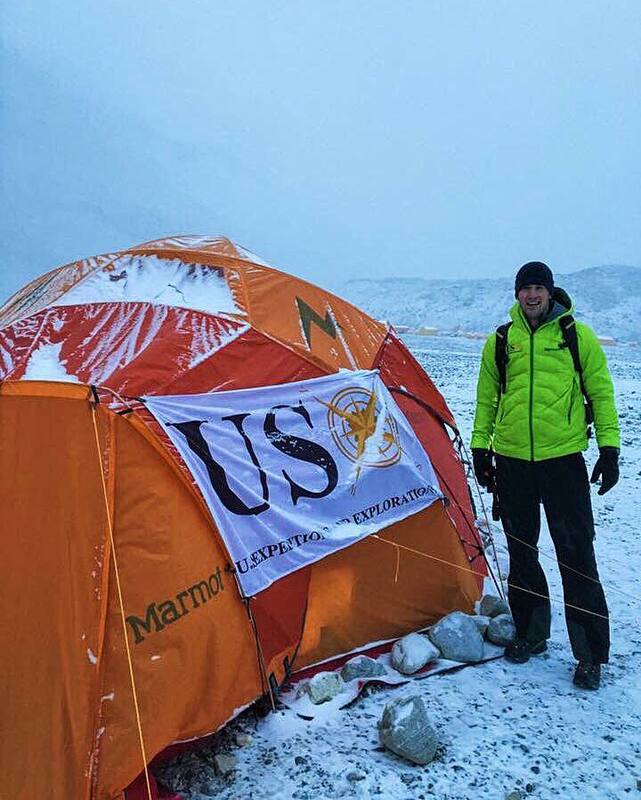 Ground team support for the expedition included highly decorated and Purple Heart recipient Command Sgt. 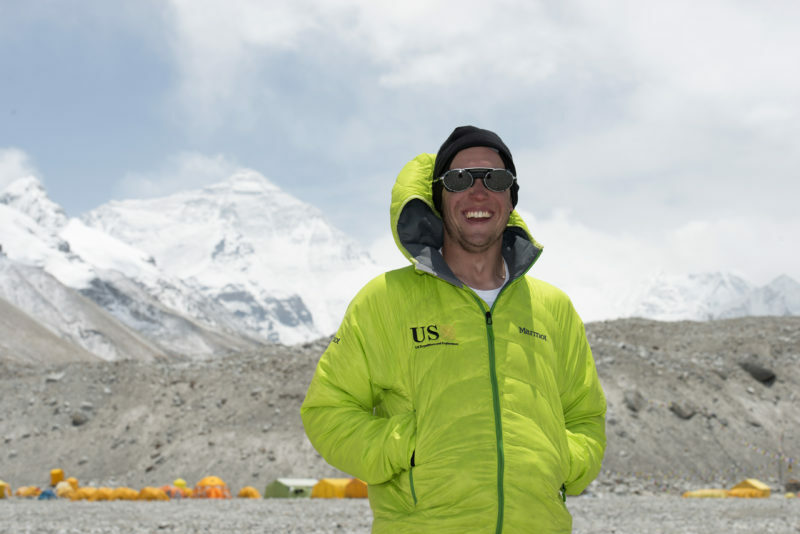 Maj. Todd Burnett, co-founder of USX and military-liaison and mentor to the team; 1st Lt. Connor Love, USX CFO and active-duty cavalry officer stationed at Fort Benning, Georgia; and Capt. 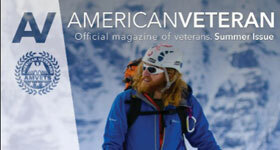 Matt Hickey, an active-duty infantry platoon leader who has served in multiple deployments in Afghanistan. 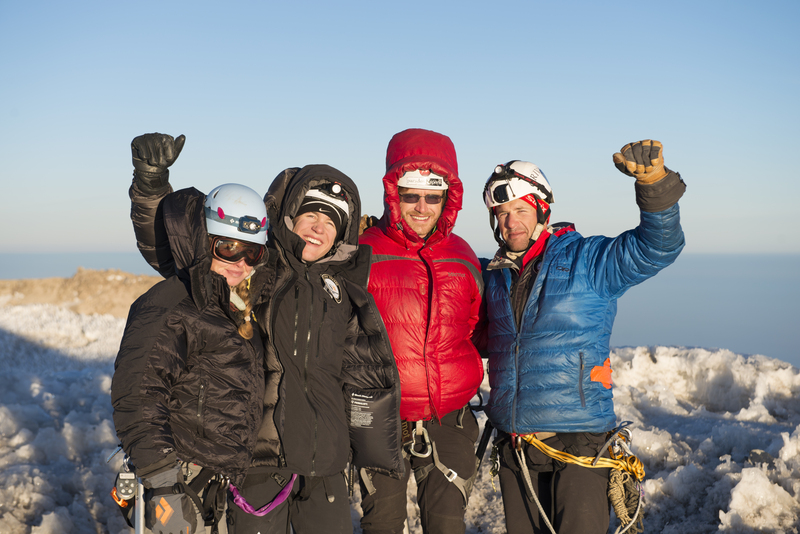 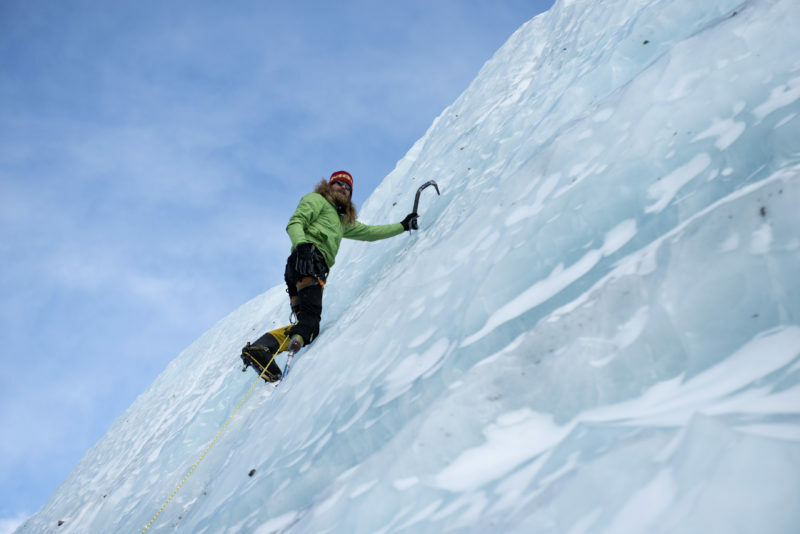 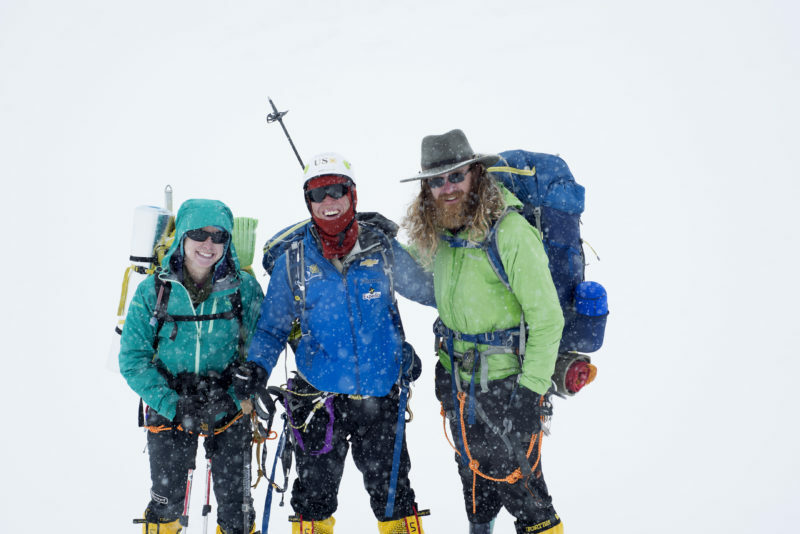 Hickey led the USX climbing team in their training expedition at Mount Rainier. 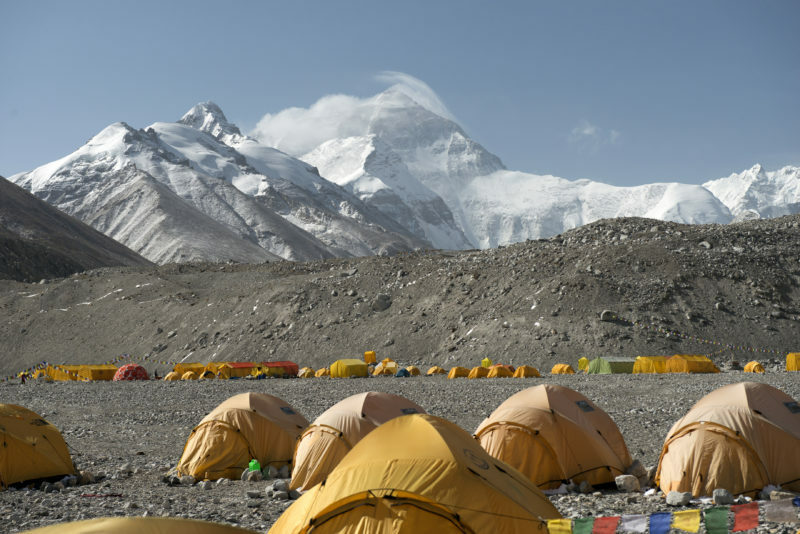 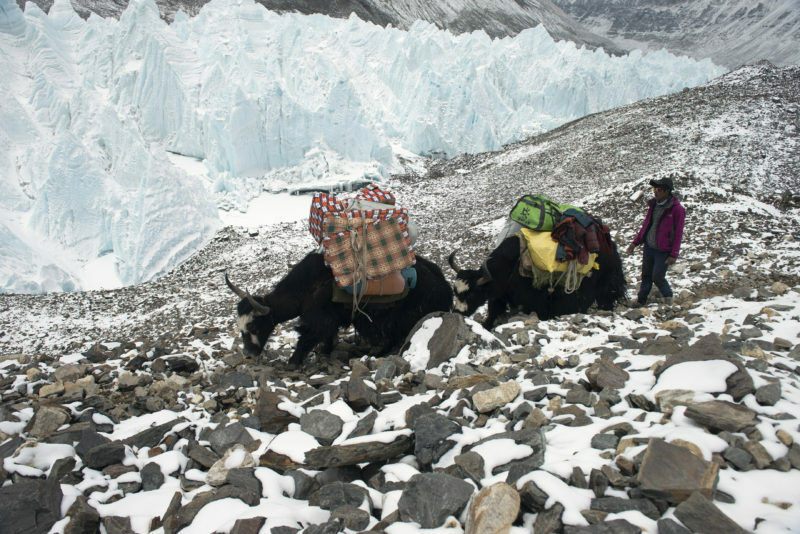 Pitch Publicity was hired by USX to document and communicate their journey to Mount Everest, while gaining media exposure about their PTSD cause. 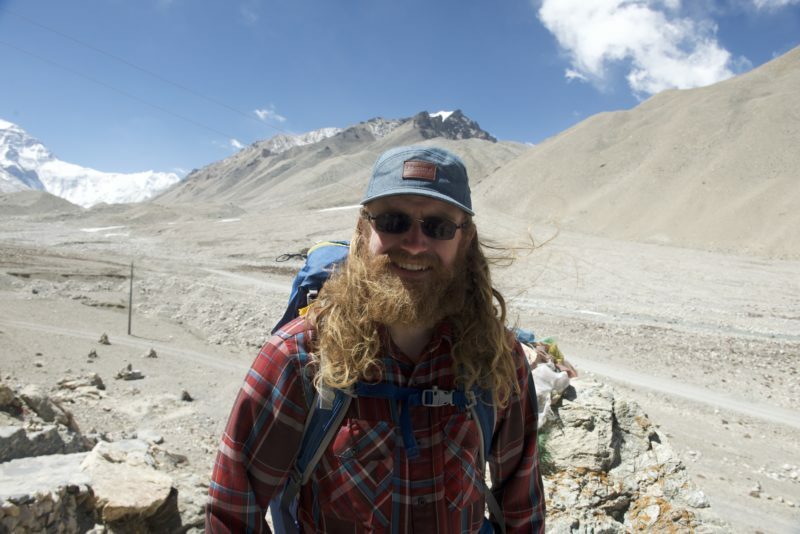 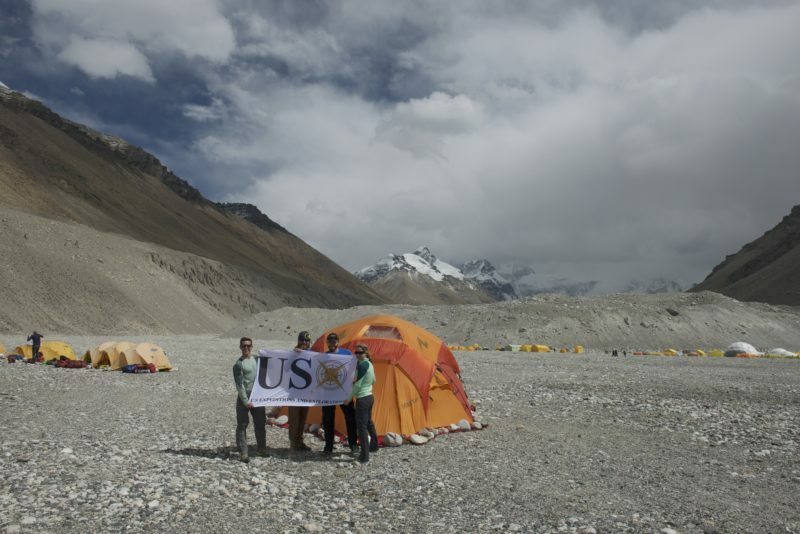 The project presented many challenges at the start including a short turnaround time of only 10 days to launch the media campaign, limited availability from Team USX for pre-interviews due to Army and job obligations, the uncertainty of the ability for communication once Team USX made the journey to Tibet and the postponement of their visas from China upon arrival. 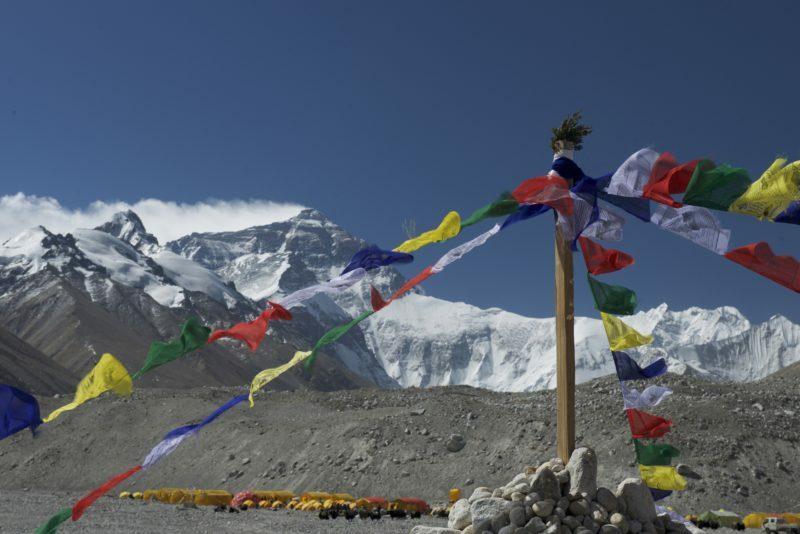 We were not aware of the enormous difficulty Team USX faced in making it through Chinese customs with camera gear and satellite phones prior to the start of the expedition on April 7, nor were we positive if Wi-Fi connections would be strong enough once Team USX arrived to Mount Everest, making it difficult to schedule interviews in advance of their arrival. 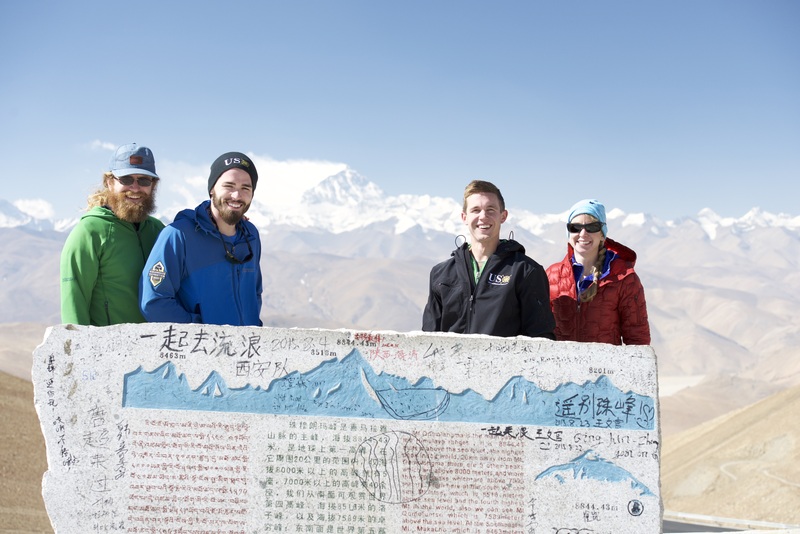 With a 12-hour time difference from New York to Mount Everest, the work on this campaign was around the clock starting upon their arrival at base camp on April 21 to their summit of Everest on May 24 and departure from base camp on May 28, between communicating with Team USX and pitching and handling media requests. 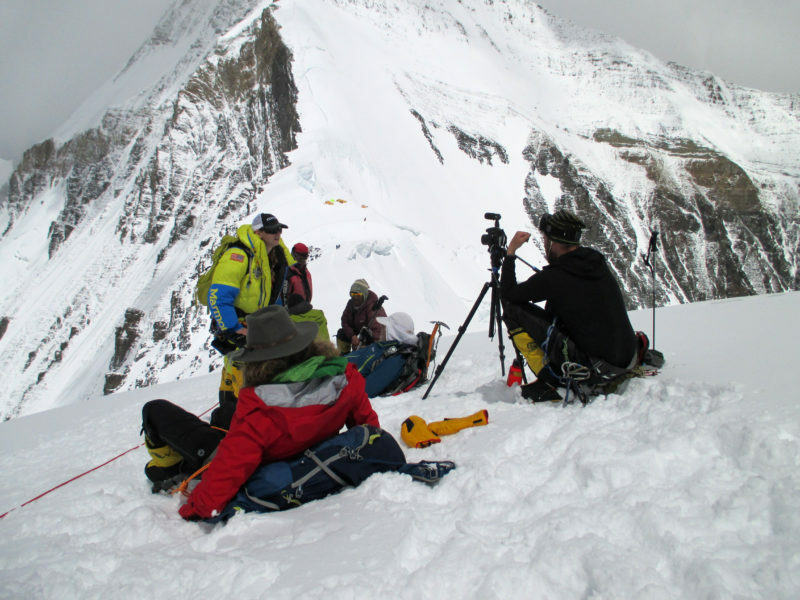 With the successful entry by Team USX to Mount Everest and in preparation of the unknown conditions for live interviews, Pitch Publicity prepared weekly media tip sheets detailing Team USX progress, challenges and experiences on the mountain. 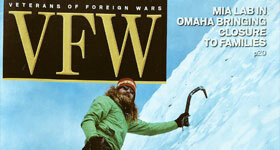 These weekly updates were accompanied by multi-media including photos, b-roll and video interviews shot by Ohlson. 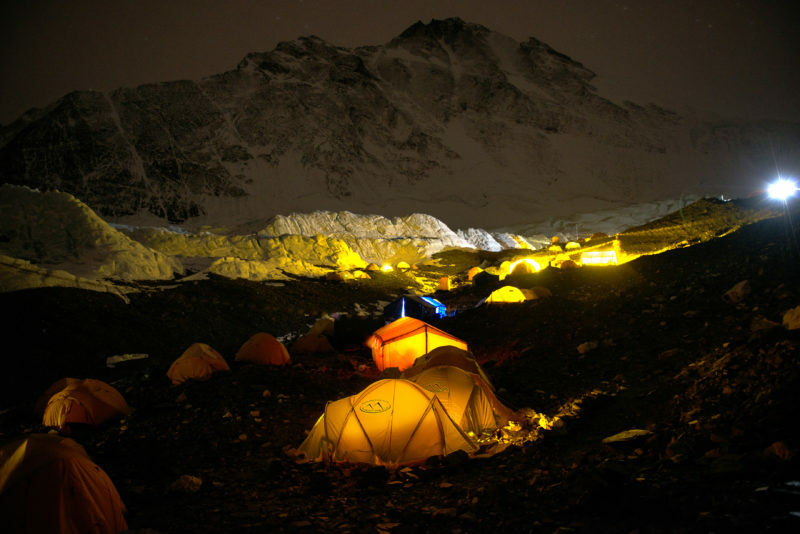 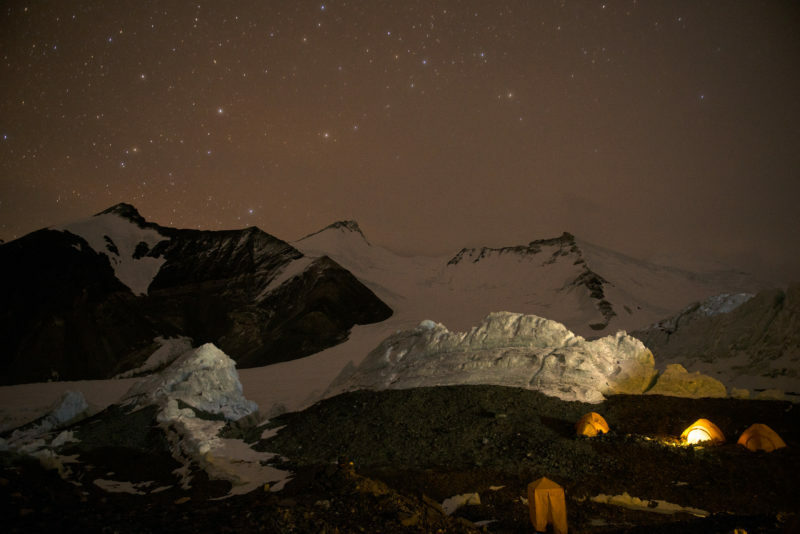 Wi-Fi connections were extremely challenging, making it often impossible to send multi-media images and emails during critical portions of the expedition. 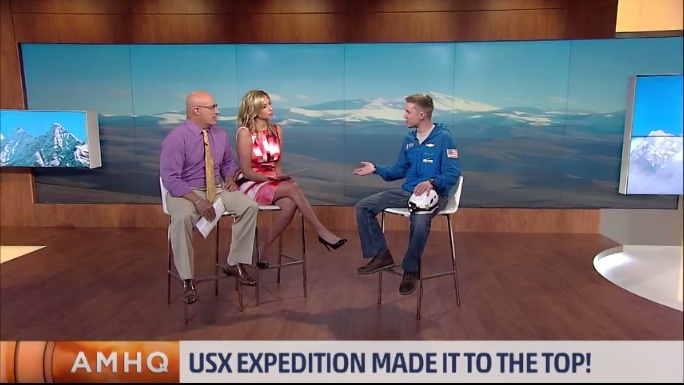 Much of the expedition story was written through several phone calls taken via satellite phone from Team USX to Pitch Publicity at all hours of the night and early morning. 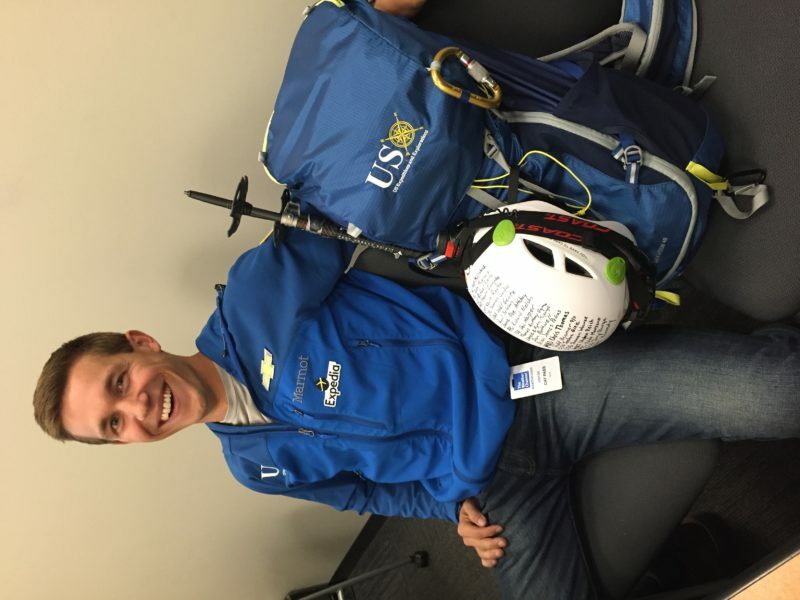 In addition to weekly media tip sheets; Pitch Publicity also utilized Team USX ground support team lead, Burnett for in-studio and phone interviews with television, radio and print media. 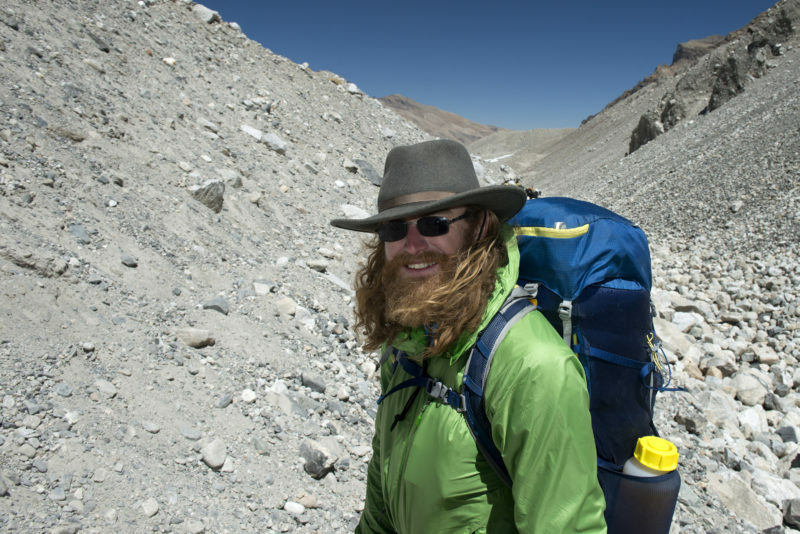 He was able to relay the expedition story live and in-person as well as give facts about how the increasing rates PTSD is compromising the health and wellness of military soldiers and veterans. 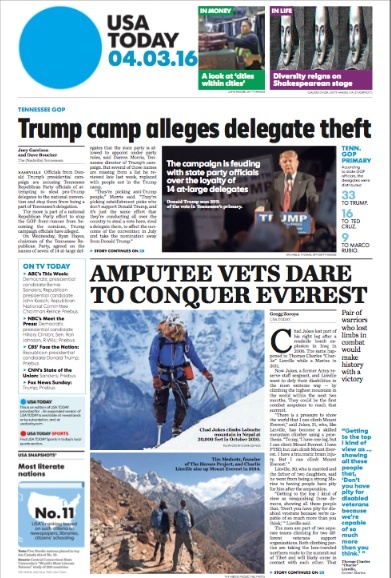 Pitch Publicity secured more than 3.1 billion media impressions for USX Everest Expedition including multiple stories in USA Today (and received exclusive announcement of USX Everest Expedition story at onset of campaign), Time magazine, CNN.com, CNN’s “New Day,” ABC’s “Good Morning America,” ABC’s “World News Tonight,” FOX News Channel’s “America’s Newsroom,” NBC’s “Today” show, The Weather Channel’s “AMHQ”, HLN’s “Weekend Express” and many others. 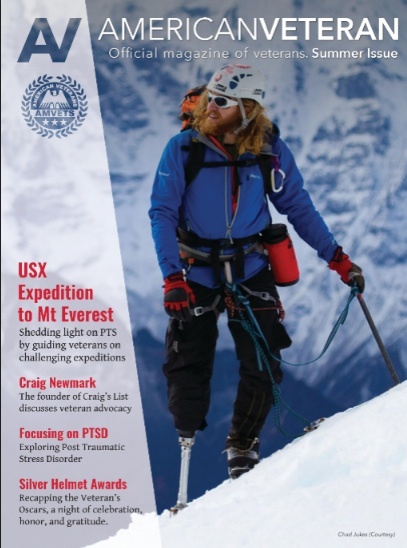 Team USX was also featured as the cover story in American Veteran (AMVETS) magazine and Veterans of Foreign Wars (VFW) magazine. 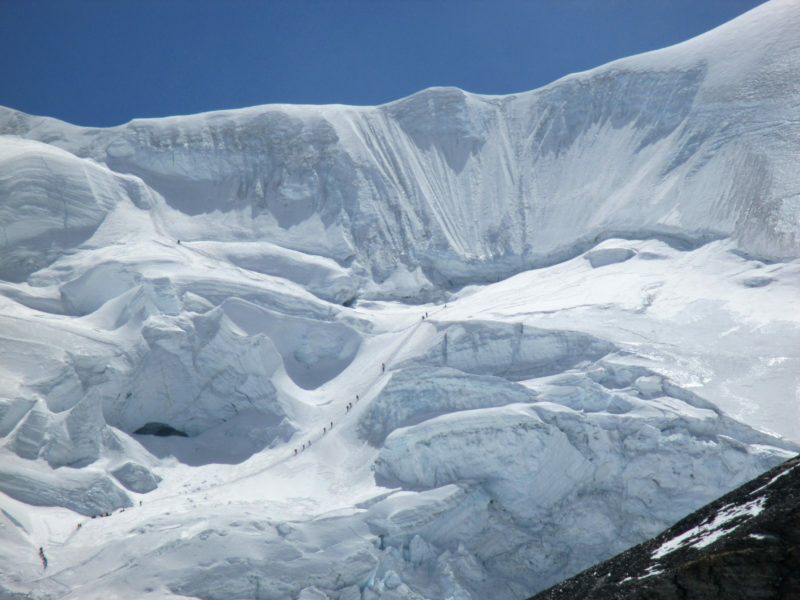 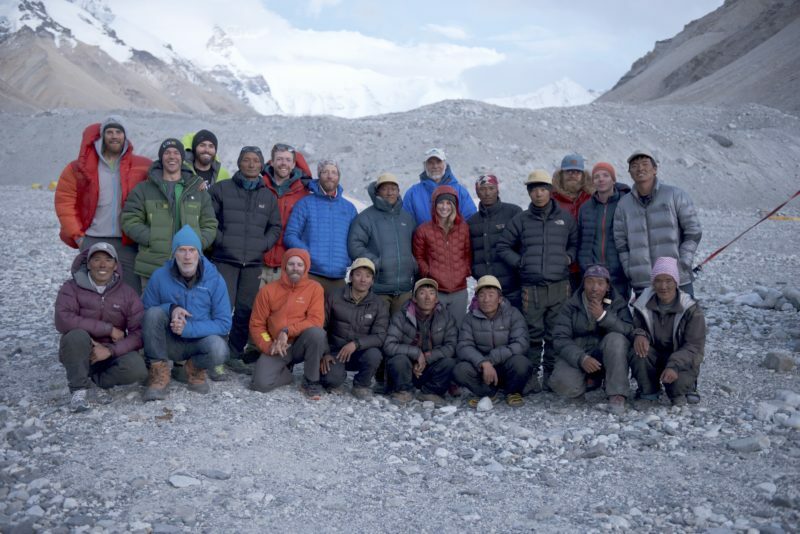 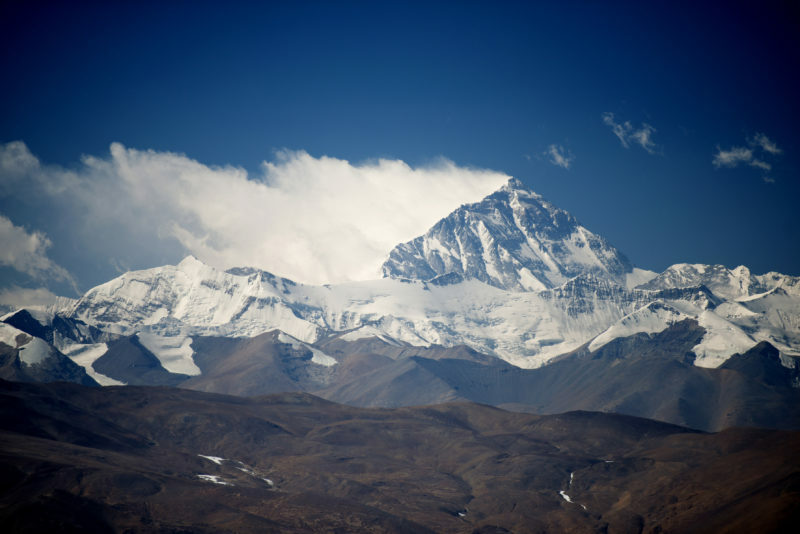 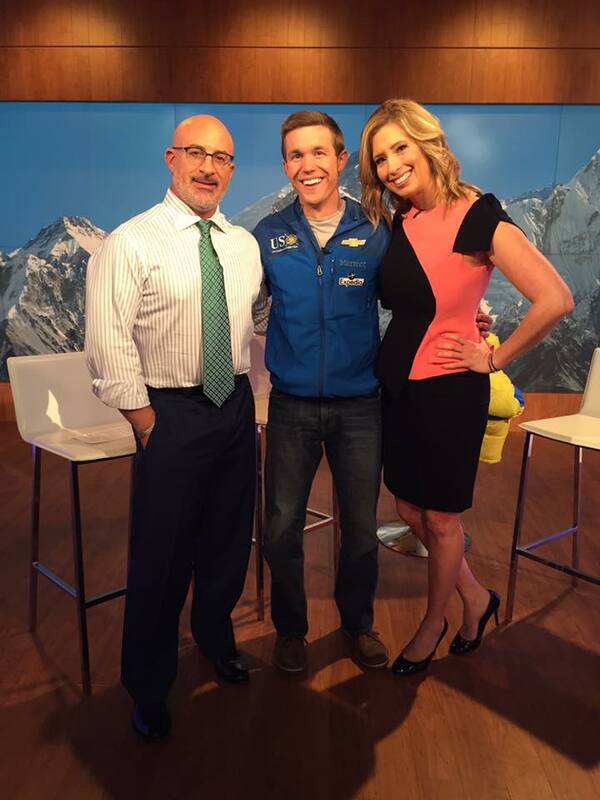 Although live interviews from Mount Everest proved most challenging, a highlight of the campaign was securing two exclusive taped interviews via satellite phone and FaceTime iPhone video at 21,000 feet on Mount Everest for ABC’s “Good Morning America” prior to, and immediately following, Team USX’s successful summit, that aired on Memorial Day; as well as a taped phone interviews with CNN’s “New Day” and ABC’s nationally syndicated news show “The Now.” Another highlight of the campaign was Pitch Publicity’s ability to give CNN.com the exclusive announcement of Team USX’s summit of Mount Everest, which was challenging in light of the rapid-fire social media climate driven by the popularity of the story. 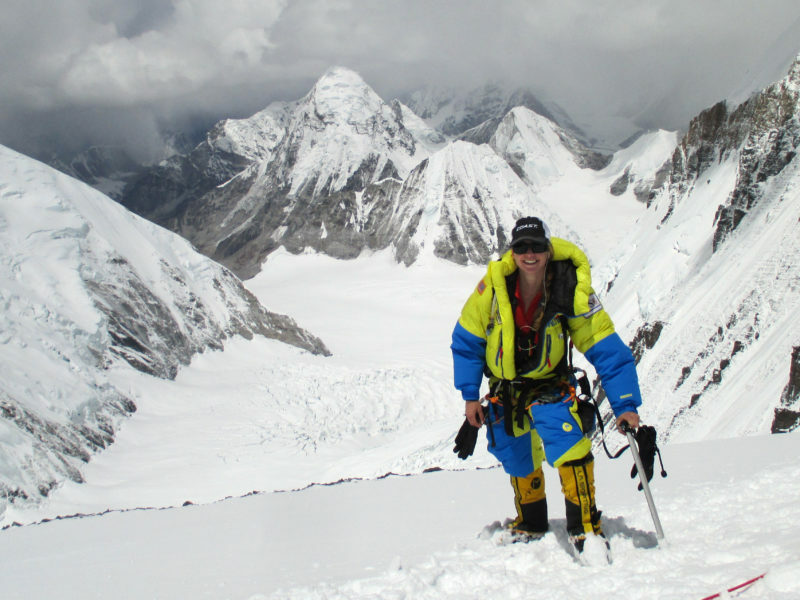 In addition to USX’s mission, Ping Medvigy became the first active-duty female Army soldier to summit Mount Everest and Jukes the first single-leg combat amputee Army soldier to summit Everest. 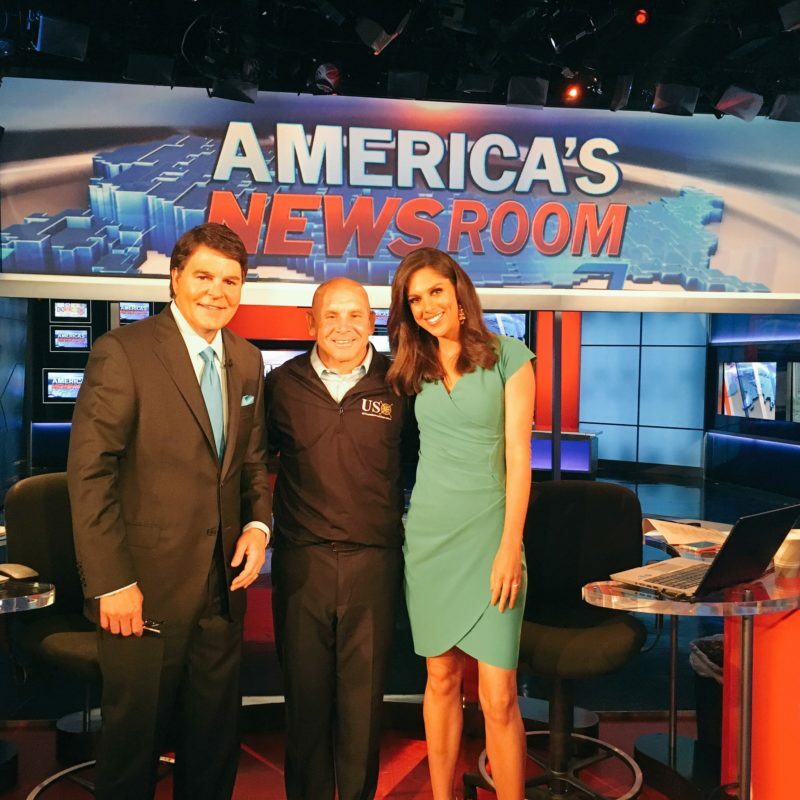 A consistent message about the issues of PTSD for soldiers and veterans was maintained 100 percent in all media interviews. 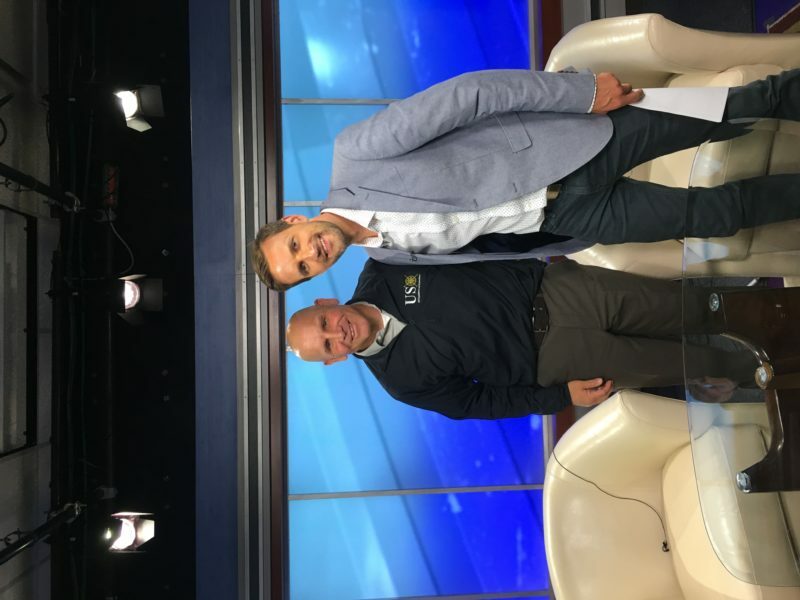 As a result, USX’s mission to increase awareness on this important soldier mental health cause was achieved and USX was formally acknowledged and honored by the U.S. Department of Veterans Affairs Secretary Robert A. McDonald during the final press conference held at Zac Brown’s Southern Ground headquarters in Peachtree City, Georgia.